During strong winds, HMS Campania begins to drag anchor in the Firth of Forth. Soon it collides with another ship anchored nearby, HMS Royal Oak, which in turn collides with HMS Glorious. A gaping hole is torn in the port side of the Campania and it begins to sink by the stern. Just over three hours later it sinks stern first. Captain Harman James Lindale Willink (Duke of Wellington’s Regiment) is killed at age 32. He is the son of the Reverend Arthur Willink Vicar of Nackington. Captain Arthur Brownlow Denham-Cookes (London Regiment) dies at home at age 27. He is the son of the ‘Honorable’ Mrs. Denham-Cookes. Captain Robert Edward Watson Semple MC (Royal Field Artillery) dies of wounds received in action on 22nd October at age 22. He is the son of Lieutenant Colonel ‘Sir’ David Semple and his older brother has been killed in action in 1916. Lieutenant Norman Royston (Royal Air Force Kite Balloon Section) dies of pneumonia at age 19. His brother died of wounds in October 1916. Lieutenant Arthur John Palliser (Australian Flying Corps) a seven-victory ace is killed in action at age 28. 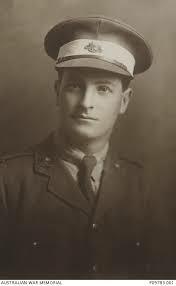 Lieutenant James Hyslop MM (London Regiment) is killed at age 32. His brother was killed last March. Corporal Edwin George Page (Warwickshire Regiment) dies at age 22. His brother was killed in August 1917. Lance Corporal Arthur Frederick Huckle (Bedfordshire Yeomanry) is killed in action at age 24. His brother was killed in October 1916. Corporal Edward George Page (Warwickshire Regiment) dies at age 22. His brother was killed in August 1917. Private Reuben Morris (East Surrey Regiment) dies of wounds at Agra, India at age 32. He is the youngest and last of three brothers who lose their lives in the Great War. Rifleman Alexander Joseph Ridland (New Zealand Rifle Brigade) is killed at age 36. He is a former member of the All Blacks Rugby Football Club. Gunner James Jeffrey Huggan (Royal Garrison Artillery) dies of wounds at age 30. His two cousins were killed last year.